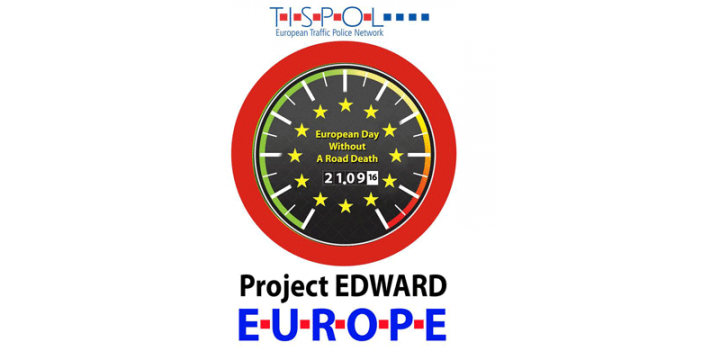 TISPOL, the European Traffic Police Network, is planning a new road safety campaign day known as Project EDWARD – European Day Without A Road Death. The organisation hopes to interest policymakers, road safety professionals, politicians, police officers, manufacturers and the general public to raise awareness of the 2020 target to reduce road deaths. There is already support from all 30 TISPOL member countries, and a growing number of road safety organisations, including ETSC have pledged to work with TISPOL to promote the message as far and wide as possible. The European Day Without A Road Death will take place on Wednesday 21 September 2016. An intense social media programme will launch the campaign at the beginning of September. For further information, and to get involved, contact media@tispol.org.